I am going to make this a quick one. I am sweating up here in my craft room. We do not have AC in our house and when the temps get in the mid to upper 80’s my craft room gets hit with full sun all afternoon and it is on the top floor. Heat really does rise!!! That’s what I get for not completing things early. Today I am featuring my final Back to School summer digi with complimentary designer paper from S2G. This is an altered composition book for my BFF’s daughter to go along with the notebook I featured last week. Her school has already started but I will be mailing these to her tomorrow. I also need to create something for her son and I have some fun things in mind for him. He just needs an altered comp book for younger kids. Don’t you just love all the added fun school images you can add? I pick a few and cut them out for added fun. I used chipboard letters to personalize the book, now all Erica needs to do is take some notes. Well night all, have a wonderful day and don’t forget to join in on the challenge over at the S2G Challenge Blog. We have some really cute things in store for you next month. Wednesday all ready??!!! Time is just zipping by quicker and quicker. Totally crazy but what can you do except enjoy each and every minute. Here we have Maggie sitting in the snow ready for a ride down the lane. She just needs someone to push her along. This cute stamp is the last of my RAQ with winter images. Time for a little holiday stamp shopping me thinks. The Magnolia-Licious store has some really super cute new images for this upcoming season AND they have free shipping on orders of $60 or more in the US and Canada...not to mention a surprise gift!!! I used my Basic Grey paper and a snowflake punch along with trying my glitter copics here and there. I love how her boots came out. Practice makes perfect!!! Now it is time to hop on over to Martina's blog to oohhh and aawww over her project. Don't forget to leave us all some love. See y'all. Happy Thursday to y’all. I am writing this Wednesday evening while I watch Big Brother. I really enjoy that show and watching all the silly people, it is also the only thing on at the time. I love that I can read while watching it or surf the net. I am in a technology slump right now. Our router decided to not work with the Comcast internet update we received on Monday and my practically new cell phone decided to kick the bucket. After an hour on the phone with tech support they it wouldn’t even turn on. I used it all day yesterday, sent my son a text at 10pm them by 10:45 is won’t send texts anymore. Today it won’t call at all & then just nothing. I don’t get it but the new router and cell phone will arrive on Friday. 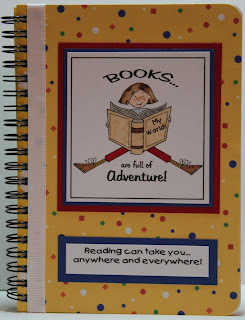 Today I am featuring another new Back to School summer digi and complimentary designer paper from S2G. Perfect fun and bright colors to get the kiddos excited to start hitting the books again. I had this idea to make my friend’s daughter a set for school. This week I altered a small notebook that she can take notes in, keep a record or the books she reads, write notes to her friends (not letting the teacher see her pass them in class) or just doodle in. Next week will the other piece to the set. The image says it all! I have said before I am an avid reader and the girls created the perfect image to relay that. The inside of this notebook has a small flap that I had to dress up just a bit. I didn’t want to add too much glitz and glam because backpacks really ruin things. Well night all, have a wonderful day and don’t forget to join in on the challenge over at the S2G Challenge Blog. Today’s new digi image from Shirley’s 2 Girls is so versatile. This cute freckled guy can be used for so many things. 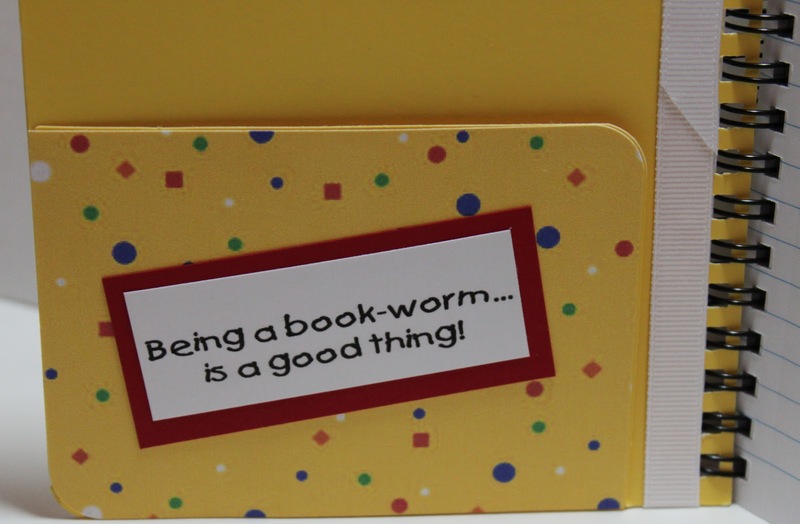 Teachers gifts, birthday & Christmas gift thank you or just as a general Thank You card. I used cardstock from Stampin Up but both of the dp’s I used are part of the new Back to School summer designer paper from S2G. 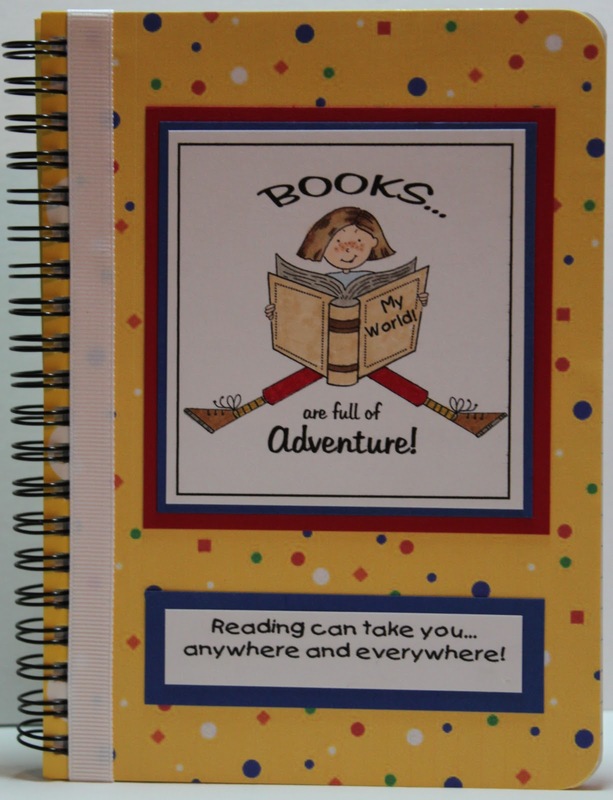 Perfect fun and bright colors to get the kiddos excited to start hitting the books again. I also used the notebook punch from EK Success. Got that one at Michael's using my 40% off coupon. Again with the freckles....sooo cute!!! I also love his book bag. Kids now a days have very full super heavy backpacks. With locker's being removed they have to carry their books and binders themselves. I am glad they are allowing home and class textbooks. The girls have started a new tutorial blog, you have to check it out. Lots of great ideas and tips to try. Have a wonderful Thursday & a fun weekend. We are about to have a heat wave....getting into the 90's. That is pretty hot for us. Come one ...come all to S2G Buy One Get One Free sale. Deidre and Kristine are clearing out their clear stamp inventory. 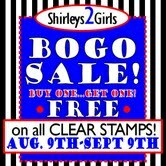 All of their clear art stamps are $2.00 or less and now you can take advantage of the BOGO sale. How can you pass that up? Click on the S2G link above to start you shopping spree...race ya over! Check back on Thursday for another fun new digi with a School time theme. I just completed my project...early I might add...and need to edit it and prepare my post. I am glad I completed my other office work on Saturday. I was behind a few months entering my receipts into my books and had to get everything reconciled. I am the type that must record every penny which can be a real pain at times but such is life. Have a wonderful Tuesday! It’s the first Thursday of August. Can you believe it? The S2G girls are prepping us all for SCHOOL. Are you ready? All my son needs is some clothes and let’s hope we find jeans that don’t cost $210 a pair!!! Supplies have been purchased and we picked up shoes at an outlet mall in Oregon as we were traveling home from vacation. I also nabbed a great purse at the Coach outlet. You have to take advantage of 70% off at Coach. It’s just mandatory I tell ya. Today’s new digi image from Shirley’s 2 Girls is so sweet. I love to read….am really an obsessive reader. I can blow through a book in hours and remember reading HP 7 in a day. Granted all I did was read, but I just couldn’t put it down. I had to know what happened. I was blog surfing for an idea and was pointed to the Copic Creations blog. I was inspired to make a bookmark by Judi-Ann using this new bookworm image by S2G. The girls also included the sentiment I used. Here is a close up so you are able to read the sentiment. It's so is true the adventures that await you. So pick up a book and READ...READ...READ.